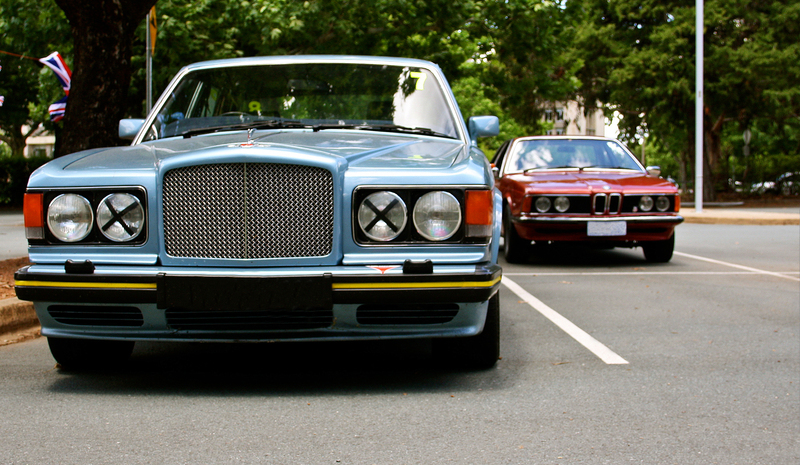 Race tape and a Rolls Royce grille. Does it get any better? The used car market is a strange and wonderful world. A world where people are willing to take a Bentley Turbo R, paint its wheels bright yellow and plaster race stickers all over it. 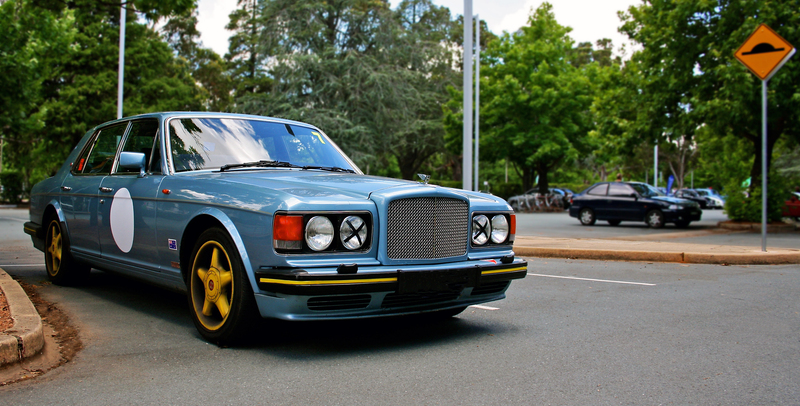 Bentley’s Turbo R was the sportier version of the Mulsanne sedan of the 1980’s, borrowing its 6.75-litre turbocharged V8, but with tickled Bosch fuel injection. The Turbo R also gained modified suspension in the form of stiffer springs and bulkier sway bars. So here was a sedan that weighed the best part of two and a half tonnes, had 350hp, plush carpets, more leather than you can poke a dead cow at and a top speed of over 240km/h (pretty impressive considering its “aerodynamics”). Sure your average modern hot hatch has similar performance figures, but this was a car that was launched in 1985. 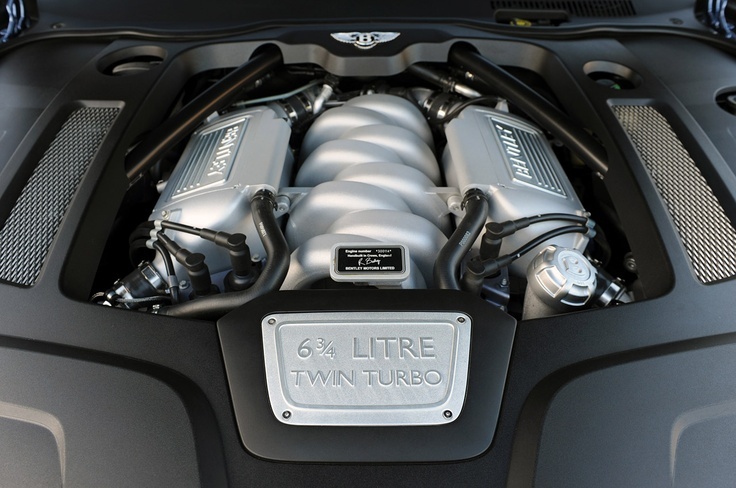 Its 6.75-litre (or 6 and three quarter as Bentley likes to put it) V8 is actually still used in the 2014 Mulsanne. That’s right; an engine that is based on a design penned in the late 1950’s with push rod valve actuation is still wafting tonnes of leather and metal along at surprising lick of speed today…In a car worth more than your house. The example pictured here won’t cost as much as your house (unless you live in Detroit or something) but it has lost some of that traditional ‘understated charm’ that Bentleys are so often associated with. In its place is a different je ne sais quoi. When was the last time you saw a Bentley (old or new) with bright yellow wheels caked in brake dust and mud emblazoned up the rear guards? I’m going to go with never and I think that’s the reason I am so enamored with this Turbo R.
Mud splattered rear quarter panels. Not your typical look for a Bentley. I had seen this car driving around for a while and managed to get a closer look at a British car show I stumbled across the other day. Here is a Bentley that cost almost half a million dollars when it was sold in 1990, that can be now be had for as little as $30,000! This is why I love the used car market. Depreciation opens up a stunning selection of desirable metal for people to do what they will with. Like paint the wheels yellow and do skids in the mud…I didn’t get a chance to talk to the owner but I salute you sir. It’s people like you that make the world interesting.